Have a very whacked Xmas and jingle all your bells! 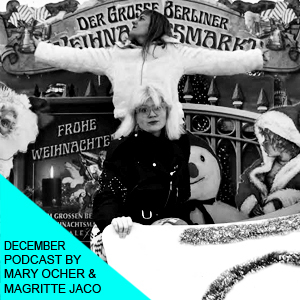 Xmas carol purists, please walk the other way, this podcast by Mary Ocher and Magritte Jaco (Plateau Repas) is most unconventional, most fun and most global (did we count 5 languages?). And as an early Xmas present, Andreas Krach‘ Krachy Xmas is free to download on Soundcloud! Book Mary Ocher live or Magritte Jaco for DJ sets HERE.